To receive by 7/28 with ground shipping, please order by 7/17. Lightweight World Champions Mikey Garcia and Robert Easter Jr. meet in a 135-pound title unification in Los Angeles on Saturday July 28, 2018. 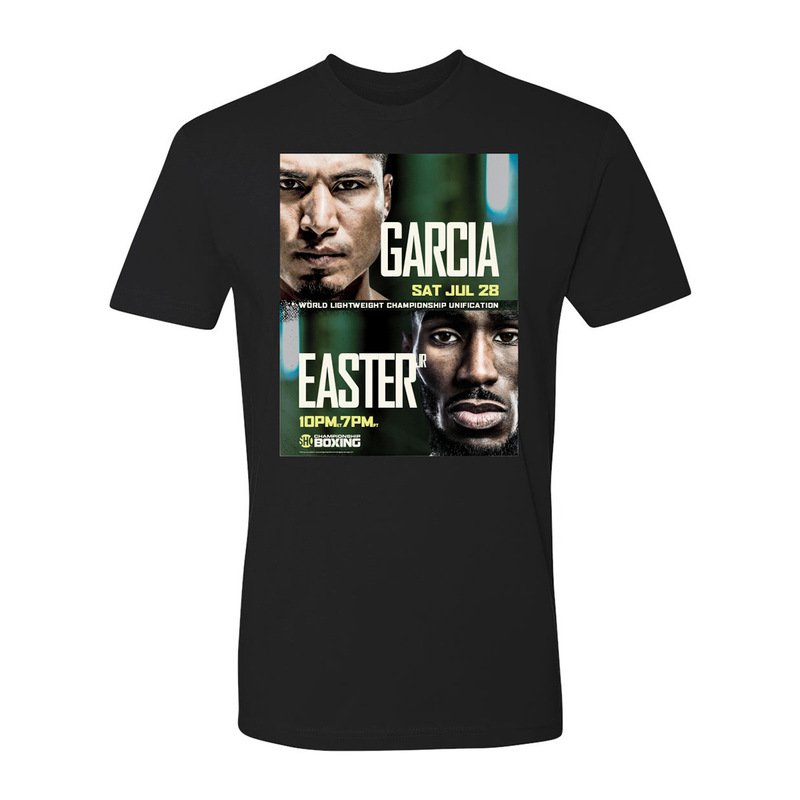 Get ready for the fight with the Garcia Easter Jr. Logo T-Shirt in Black.